The world’s second largest stock exchange, Nasdaq, is reportedly planning to introduce a Bitcoin futures market within the first quarter of 2019. The Bitcoin market has plunged by more than 80 percent across the spot markets, data from CryptoSlate has shown, but it hasn’t deterred the world second largest stock exchange from eyeing the lucrative industry. According to a Nov. 27 report from Bloomberg, the Nasdaq Stock Market is reportedly looking to list Bitcoin futures on its exchange as early as 2019. Two people familiar with the matter told the publication that Nasdaq was betting on sustained interest despite the cryptocurrency’s dramatic plunge over the past year. The unnamed sources claimed that Nasdaq has been working to satisfy the concerns of the CFTC before launching the contracts. And while the New York exchange operator was first reported to be eyeing Bitcoin futures back in 2017, one of the sources said that the company won’t begin trading until the first quarter of 2019. The report comes almost a year after Nasdaq announced its plans to introduce bitcoin futures back in November 2017. At the time of the announcement, bitcoin’s price was experiencing a never before seen high, soaring to $11,000. The company planned to take price references from numerous spot exchanges for their bitcoin futures as compiled by VanEck Associates Corp. At the time, Adena Friedman, the chief executive officer at Nasdaq, said that this approach would make Nasdaq’s bitcoin contract different from its competitors. Stepping into a long-lasting bear market suggests that Nasdaq sees sufficient institutional demand for bitcoin futures in the U.S. Currently, the demand from institutional investors for crypto can only be evaluated through the numbers that Bakkt, Fidelity Digital Assets, Goldman Sachs, BitGo Custody, Coinbase Custody, and other major OTC markets can provide. However, as developing infrastructure for a new asset class requires allocating a large portion of an exchange’s resource, it’s safe to say that Nasdaq seems certain that the demand for its futures will grow over time. Bakkt, a cryptocurrency exchange built by ICE, the parent company of the New York Stock Exchange, is also expected to launch its Bitcoin futures market on January 24. 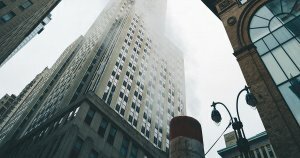 As Bakkt physically delivers bitcoin to its investors and as such, it could have an actual impact on the supply of the coin and ultimately its price. And while the details of Nasdaq’s plans still remain unclear, the increased competition by the two exchanges could lead to an increase in additional liquidity for the asset, something the market desperately needs.